Oklahoma Air has been serving Moore customers since 1988. All of the equipment we use and recommend is certified to be of exceptional quality. We also service all brands and offer flat rate pricing. Additionally, we constantly strive to reduce our costs in order to offer reasonable prices to our customers. In an emergency, Oklahoma Air of Moore is available to ensure that you stay comfortable. And since a major portion of our business comes from referrals, our continued success is a reflection of our commitment to our customers. 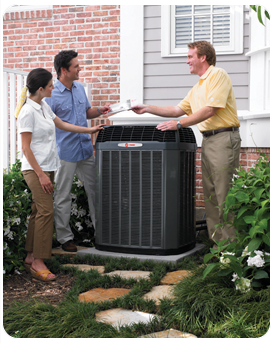 Should you require service on your heating and air conditioning system, our factory trained Moore technicians have the know-how to diagnose, adjust or repair your system so that you are comfortable all year long. We also offer flat rate pricing for all of our service calls. For safety and warranty reasons you should never attempt to service your unit yourself. Preventative Maintenance: We can maintain all brands and offer residential and commercial preventative maintenance agreements for homes and businesses of any size to help obtain optimal efficiency and performance from your system for years to come. 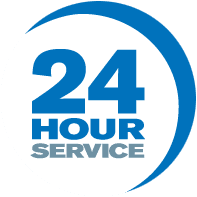 The benefits we offer are 15% off parts and labor on repairs, priority services on the same day (in most cases), emergency service at no additional cost and seasonal reminders to schedule. Duct Work: We will design the ideal duct configuration for your specific comfort system. We can also redesign duct work and do zoning.